And one more thing on the referendum….late this evening, a joint statement was issued by the European Union, the United Kingdom and the United States of America. In the wake of the postponement, the three appear not to be happy with the court’s outcome, but voice support in favour of the referendum and hope that it can take place as soon as possible. 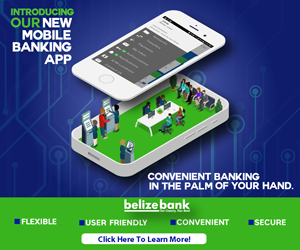 The statement says that “a referendum puts the decision in the hands of the people of Belize who would participate in a free and democratic process on a decision that has implications not only for today’s population but for generations to come. 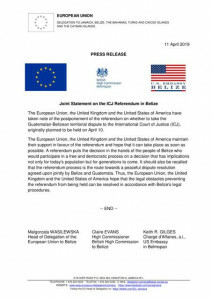 It should also be recalled that the referendum process is the route towards a peaceful dispute resolution agreed upon jointly by Belize and Guatemala.” The release ends saying that the group hopes that the legal obstacles preventing the referendum from being held can be resolved in accordance with Belize’s legal procedures. The European Union, the United Kingdom and the United States of America are a part of the group of friends.